Kalanchoes are primarily grown as indoor flowering plants. The plants produce lush, glossy green foliage year-round and feature brightly colored flowers in abundance during the winter months. Most newer kalanchoe varieties are self-cleaning, which means they drop their flowers naturally after blooming instead of setting seed. Older varieties might still produce seed, resulting in a plant covered with unattractive wilted flowers. Deadheading, or removing the old flowers, improves the plant's appearance and might encourage it to produce more blooms. Kalanchoe produces flowers in small clusters. Inspect the kalanchoe regularly during the flowering season. If the petals remain on the flower clusters after they wilt, your variety likely requires deadheading. Grasp a flower cluster at its base after most of the blooms have withered and begun to turn brown. Snip off the flowering stem near its base above the first set of large leaves with a small pair of shears. 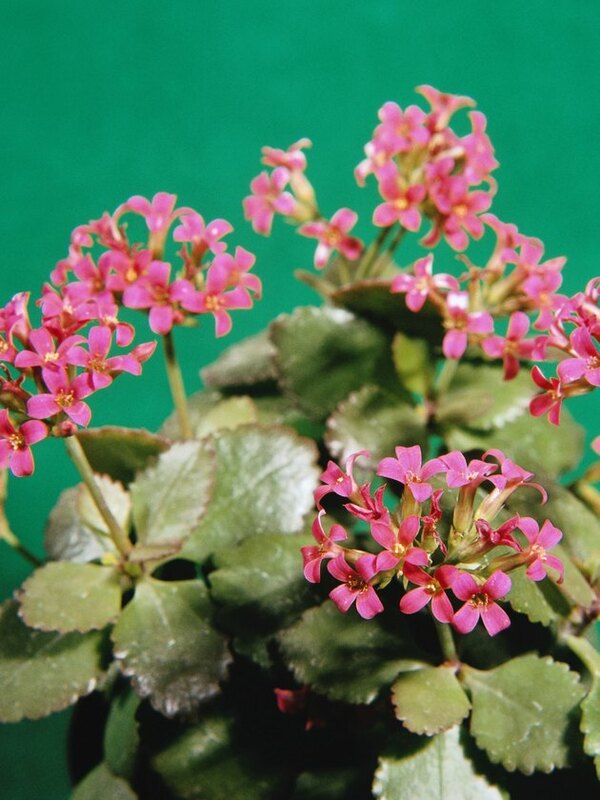 Avoid pinching or pulling the flower clusters off because that can cause damage to the fleshy kalanchoe stems. Dispose of the removed flower cluster. Deadhead the kalanchoe one to two times a week throughout the flowering season. Deadheading each time you water the plant works well.